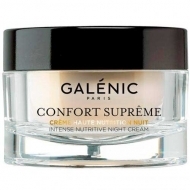 DESCRIPTION: Confort Suprême Crème Riche Nutritive from Galènic is a dense, enveloping and non-oily cream. It contains an oriental floral fragrance in powder form. In her heart, a sweet veil of white jasmine, argon and magnolia, reinforced by more intense notes of vanilla, coumarou and cashmere. 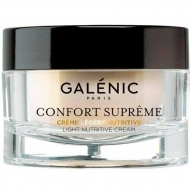 Its formulation of rich Argon oil nourishes and moisturizes the skin in depth and the dense, soft, non-greasy texture melts with the skin in contact with the heat. Its main active ingredient is argon oil rich in essential fatty acids, which nourishes and protects the skin barrier. 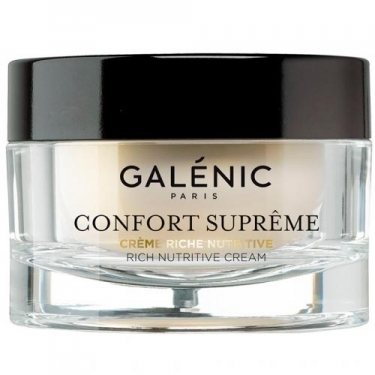 It also contains sesame oil and shea butter, moisturizing agents, soothing calendula extract, and antioxidant vitamin E.
Ideal for dry and very dry skins.